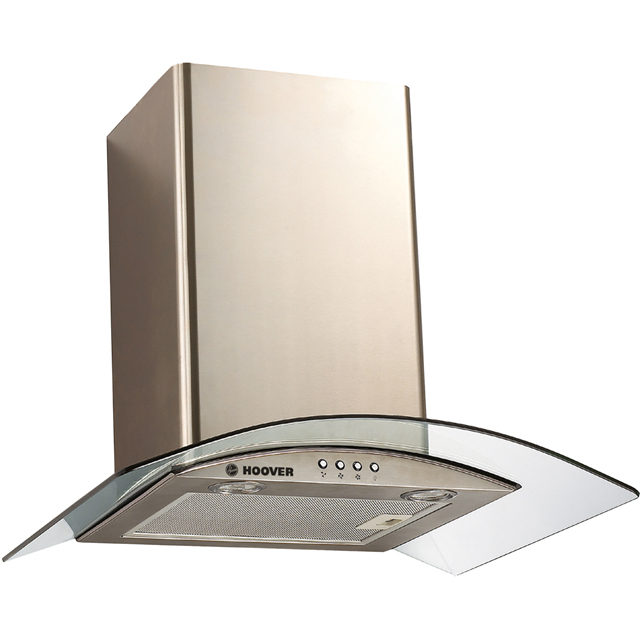 Enjoy a fresh, clear kitchen with this stainless steel and glass chimney cooker hood from Hoover. It’s 60cm wide so is best used above a standard hob, and with its maximum extraction rate of 494 cubic metres per hour it’s ideal for medium-sized kitchens. It has a medium noise level of 66dB, which is equivalent to an energetic conversation over dinner, meaning it’s not too loud for music while you cook. And you can illuminate your pans using the built-in LED light, perfect for late-night meals – just press the push button controls to switch it on.